Jallianwala Bagh Massacre: Amarinder Singh said British Prime Minister Theresa May's expression of regret is "inadequate" and that nothing short of a formal apology from Britain will do. The Jallianwala Bagh massacre saw British troops fire on thousands of unarmed people in Amritsar on 1919. Amarinder Singh said British PM's expression of regret is "inadequate"
As India marks the 100th anniversary of the Jallianwala Bagh massacre, one of the worst atrocities of British colonial rule for which London has yet to apologise, the British envoy to India today called it a "shameful act in British-Indian history". Hundreds of people, including Prime Minister Narendra Modi, Congress president Rahul Gandhi and Punjab Chief Minister Amarinder Singh paid tribute to those who lost their lives in the massacre. British High Commissioner to India Dominic Asquith, who paid his tribute and laid a wreath at the memorial in Punjab's Amritsar, wrote in the visitors' book, "The events of Jallianwala Bagh 100 years ago today reflects a shameful act in British-Indian history. We deeply regret what happened and the suffering caused. I am pleased today that the UK and India have and remain committed to developing further a thriving 21st century partnership." Remembering those who lost their lives in the massacre, PM Modi tweeted, "Today, when we observe 100 years of the horrific Jallianwala Bagh massacre, India pays tributes to all those martyred on that fateful day. Their valour and sacrifice will never be forgotten. Their memory inspires us to work even harder to build an India they would be proud of." Rahul Gandhi, who reached Amritsar last night and prayed at the Golden Temple, laid a wreath at the memorial. "The cost of our freedom must never be forgotten," Congress chief said in a tweet after his visit. 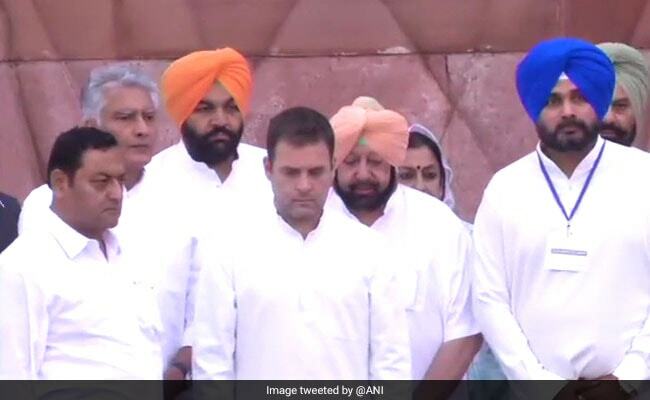 Congress president Rahul Gandhi paid his tribute at the Jallianwala Bagh memorial in Amritsar. The UK envoy's statement comes days after British Prime Minister Theresa May described the Jallianwala Bagh massacre as a "shameful scar" on British Indian history but stopped short of a formal apology. On the eve of the centenary, Amarinder Singh said Ms May's expression of regret is "inadequate" and that nothing short of a formal apology from Britain will do. Mr Singh and Punjab Governor VPS Badnore took part in a candlelight march with hundreds of people last evening to mark the centenary. Vice President M Venkaiah Naidu will release a commemorative coin and a commemorative postage stamp at today's homage ceremony. 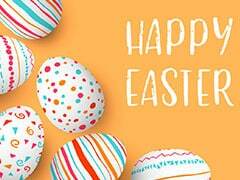 Britain's opposition Labour Party leader Jeremy Corbyn demanded that those who lost their lives in the massacre deserve a "full, clear and unequivocal apology for what took place".